By Mateusz Mucha, Piotr Małek and Hanna Pamuła - PhD candidate. 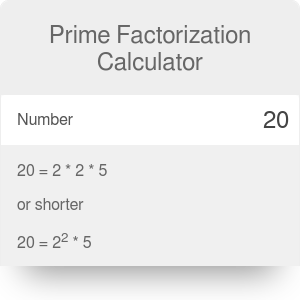 The prime factorization calculator will take any number and find its prime factors. Simply type the number into our tool and in no time you'll find the prime factorization. To understand the whole process, first you must get familiar with the concept of a prime number. Moving a step further, you should think for a while about the difference between prime factor and prime factorization. Below, you'll find all the answers as well as concise information on how to find prime factorization and what a factor tree is. To understand prime factorization, we need to start from the beginning - what is a prime number? A prime number is any number whose only factors are one and itself - in other words, it can't be formed by multiplying two smaller natural numbers. A key point to note is that there must be two different factors, so 1 is not a prime number since both factors of 1 are the same. For example, 5 is a prime number since the only factors of 5 are 1 and 5. 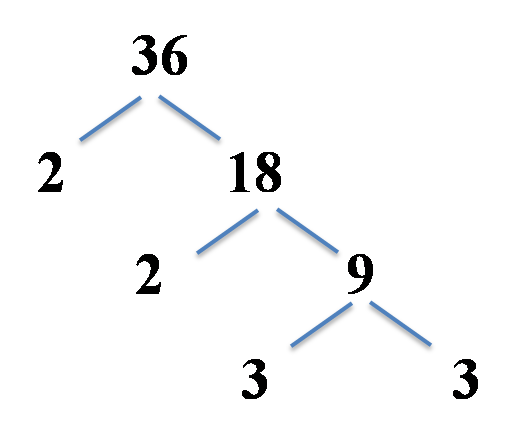 6 is not a prime as apart from 1 and 6, other factors exist - 2 and 3. There are infinitely many primes and there's no simple formula to determine whether a number is a prime or not. That's why this prime factorization calculator is such a great, multi-purpose tool - you can use it as a prime number calculator as well! Prime factors are factors of a number that themselves are prime numbers. For example, suppose we want to get the factors of 20. That is, we want to know what whole numbers multiply to give you 20. We know that 1 * 20 = 20, 2 * 10 = 20 and 4 * 5 = 20. But notice that 20, 10 and 4 are not prime factors. The only prime factors of 20 are 2 and 5. You can also get these factors with the use of our factor calculator. Prime factorization is when we break a number down into factors that are only prime numbers. If we look at the above example with 20, the factors are 1, 2, 4, 5, 10, 20. The best place to start is to find at least one initial factor that is prime. Since 5 is prime, we can start with 4 * 5. Notice that 4 is not prime, so we break 4 down into 2 * 2. Since 2 is prime, the prime factorization of 20 is 2 * 2 * 5. Go ahead and check this result with our prime factorization calculator. We'll show you step by step how to find prime factorization. 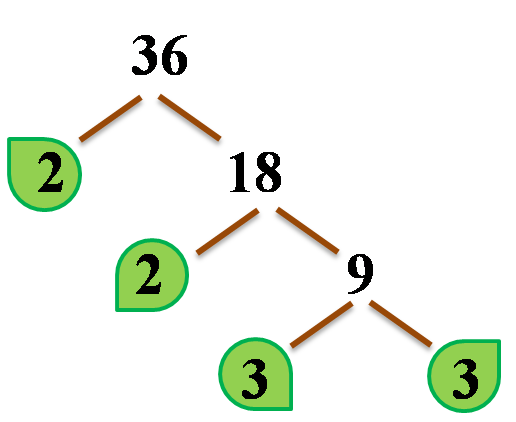 We'll use the factor tree diagram which is an easy way to break down a number into its prime factors. Are you ready? Take a number. There's no point in picking the prime number, as the prime factorization will finish at this point. Let's choose 36. Factor it into any two numbers, prime or not. You may want to take the easiest splits, e.g., if your number is even, split it into 2 and the other number. 36 is even so that we can write it as 2 * 18. Start constructing the factor tree. 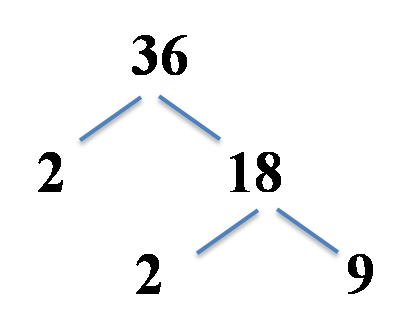 Draw two branches splitting down from your original number. Factor the next line. If your number is a prime, leave it as it is. If it's not a prime number, repeat step 2. Repeat the steps until you're left with only prime numbers. Write down the final prime factorization and prime factors. That's how we find prime factorization! Prime factorization is the first step in finding the greatest common factor - the greatest factor of two or more numbers. The GCF is especially useful for simplifying fractions and solving equations using polynomials. For example, the greatest common factor between 6 and 20 is 2: prime factorization of the first number is 6 = 2 * 3, the latter may be expressed as 20 = 5 * 2 * 2, and the only number which appears in both prime factorizations is 2, indeed. If you want to calculate greatest common factor in a snap, use our greatest common factor calculator. The use of the prime factorization calculator is also useful in finding the least common multiple. The LCM is important when adding fractions with unlike denominators. The least common multiple is obtained when multiplying the higher powers of all factors between the two numbers. For example, the least common multiple between 6 and 20 is (2 * 2 * 3 * 5) = 60. The LCM may be found by hand or with use of the least common multiple calculator. Notice the list of prime factorizations below, which can be checked using our prime factorization calculator. Prime factorization of 2: it's a prime number! Prime factorization of 3: it's a prime number! Prime factorization of 5: it's a prime number! Prime factorization of 7: it's a prime number! Prime factorization of 11: it's a prime number! Prime factorization of 13: it's a prime number! Prime factorization of 17: it's a prime number! Prime factorization of 19: it's a prime number! 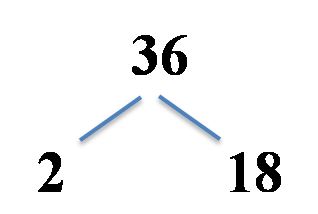 Prime factorization of 23: it's a prime number! Prime factorization of 29: it's a prime number! Prime factorization of 31: it's a prime number! Prime factorization of 37: it's a prime number! Prime factorization of 41: it's a prime number! Prime factorization of 43: it's a prime number! Prime factorization of 47: it's a prime number! 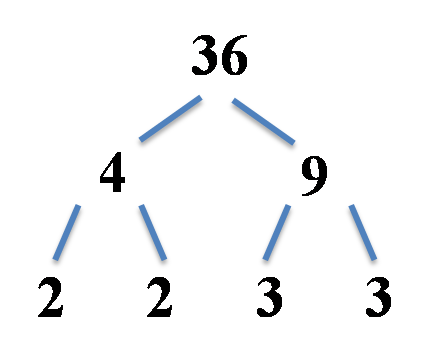 Prime factorization of 53: it's a prime number! Prime factorization of 59: it's a prime number! Prime factorization of 61: it's a prime number! Prime factorization of 67: it's a prime number! Prime factorization of 71: it's a prime number! Prime factorization of 73: it's a prime number! Prime factorization of 79: it's a prime number! Prime factorization of 83: it's a prime number! Prime factorization of 89: it's a prime number! Prime factorization of 97: it's a prime number! At the beginning, 1 was considered a prime number. It was not until the early 20th century that most mathematicians excluded 1 as a prime number. Notice the prime factorization calculator does not include 1 in the results of prime numbers. Mateusz Mucha, Piotr Małek and Hanna Pamuła - PhD candidate. Prime Factorization Calculator can be embedded on your website to enrich the content you wrote and make it easier for your visitors to understand your message.